We bet if you remember back to your childhood, you can remember some of your favourite stories. Each Christmas the most anticipated adverts on TV aren’t the ones full of products. Instead, they are the ones which tell stories – John Lewis with their trampoline in 2016, Sainsbury’s and James Corden declaring that the greatest gift Dad could give his family was his presence, Mrs Claus finding the perfect present for a big sister.. All of those adverts are not about products, they are about emotion – evoking a feeling and building trust in a brand. Often we hear business owners talking a lot about their products, waxing lyrical about how amazing products are, but not really demonstrating how their products or services will help clients. We hate to break it to you, but your customers aren’t going to care about what you are selling, unless you make them care by showing them the problem you solve and the difference your product or service can make. 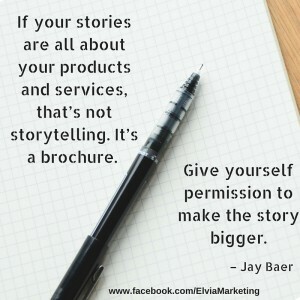 One of the ways you can do this is by telling stories, and specifically, telling your clients or customers stories and demonstrating how your have helped and added value for someone. Recently, we’ve been working on a fantastic national campaign where storytelling has been so important. We have been helping our client, to tell their clients’ stories through their blogs & social media content. Through these stories we have been building an emotional connection & evoking a reaction, demonstrating to their audiences why they should care about our clients messages and products, showing the value that their brand adds to their clients and building trust and support for their brand. As a result of the storytelling aspect of their campaign we have seen four to five times the reach and engagement on posts which feature a story, versus posts which features a product. Client stories typically have greater engagement on social Media than you telling your own stories. Your clients can sing your praises far better than you can and people are nosy. They are interested in who is buying from you and why. 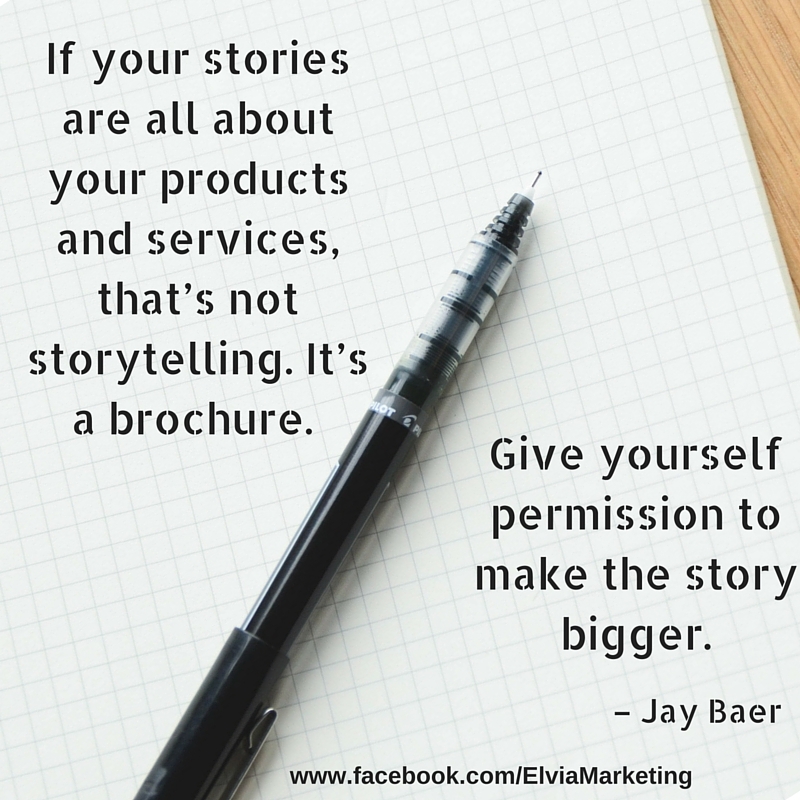 So what stories can you tell in your business? What problems have you solved for your clients? Which clients would be willing to perhaps do a video testimonial, or a written testimonial for you? Which clients would be happy for you to share their story? Maybe it’s a story of how you helped a family find their forever home if you are an estate agent, how you cured aches and pains through therapy if you are treat injuries, or how you made a new Mum feel more confident if you are a fashion stylist…. Have you asked your clients to share their good news stories themselves on your facebook page or their twitter/instagram feeds? This week we challenge you to look for the stories in your business and see the difference that it can make in engagaement for your business. 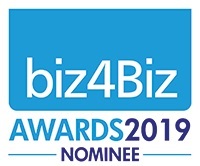 If you need help, then please do get in contact with us as we would love to help you get your business seen.